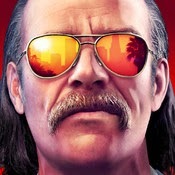 Lead your own crew of professional criminals and make them the best there is! 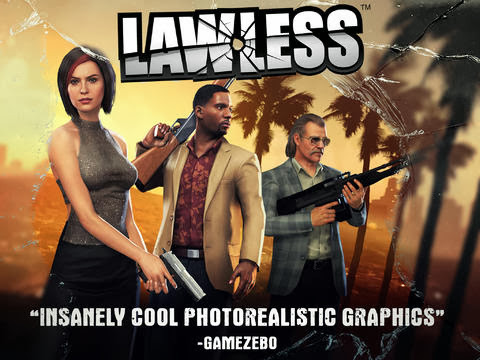 Lawless is the epic 3D arcade-style shooter that blows the competition away! It's 1990's LA. You are just out of jail and not intending to go back! Your time inside was not wasted, you made contacts, mastered your trade and now you are back on the streets. Sure you are starting from nothing but you have big ambitions. It’s all about the big scores and getting away with it. Anyone who attempts to cross you or get in your way are going down. Now is your time. Steal what you can and make your fortune. That big final score is always just around the corner. 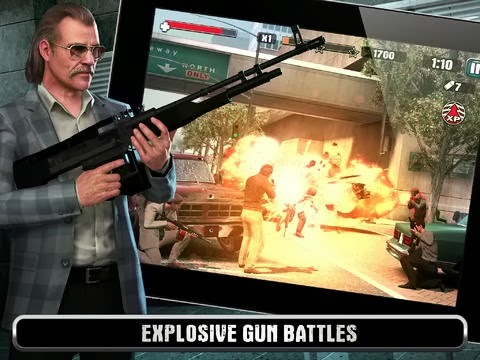 • Test Your Skills in Explosive Gun Battles – Take on waves of enemies, from SWAT teams, police choppers, and infamous rival gangs in this destructible and explosive 3D environment! 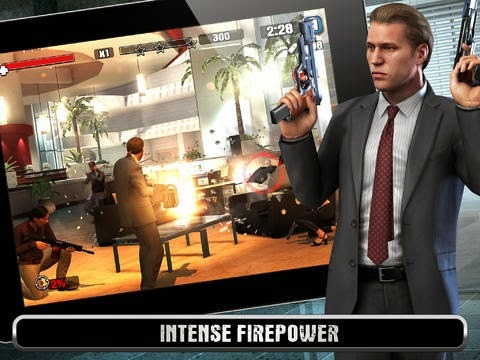 • From Crook to Kingpin – Swiftly eliminate all those who stand in your way with a arsenal of over 100 weapons including pistols, rifles, bazookas, grenades and machine guns to name a few. • Build A Crew of Badass Professionals – Tear through the streets of LA with a crew of professional criminals robbing banks, assassinating targets, and taking over Kingpin territory when the price is right. • Dominate in Monthly Live Events – Recruit friends as your allies to help you take on new and unique missions each month with a never- ending calendar of big challenges and even bigger rewards.